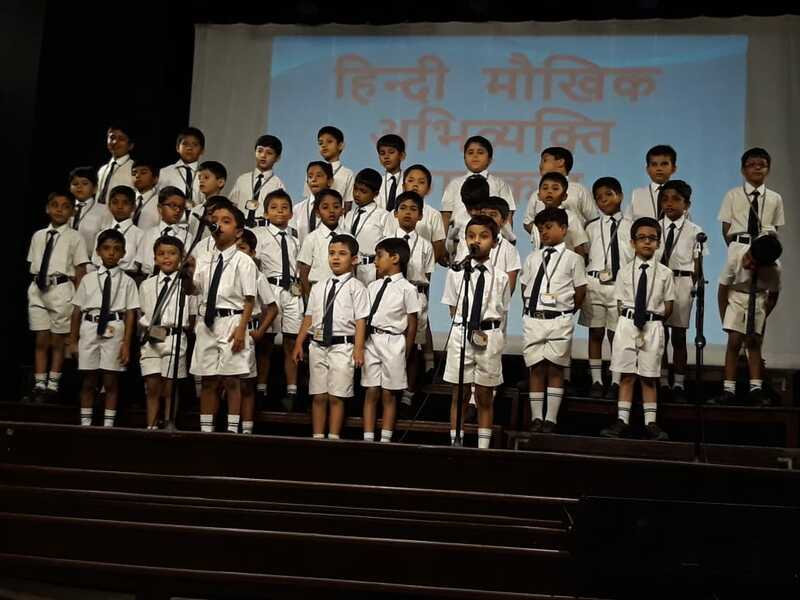 On the 14th of September, 1949, the Constituent Assembly of India had adopted ‘Hindi’ written in Devanagiri script as the official language of the Republic of India. Since then, every year 14th September is celebrated as ‘Hindi Divas’ in India . This decision was ratified by the constitution of India that came into effect on 26th January 1950. 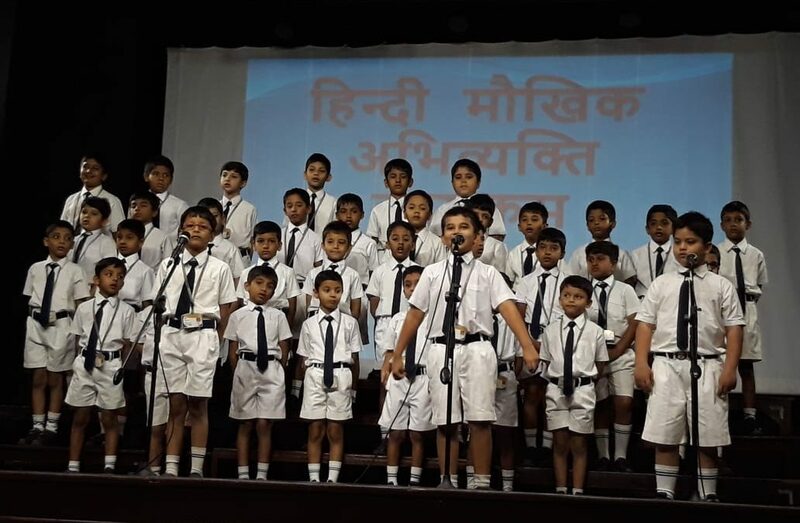 Under the article 343 of the Indian Constitution, Hindi written in Devanagiri script, was adopted as the official language of India. There are a total of 22 scheduled languages of India, of which two are officially used at Union Government of India level: Hindi and English. 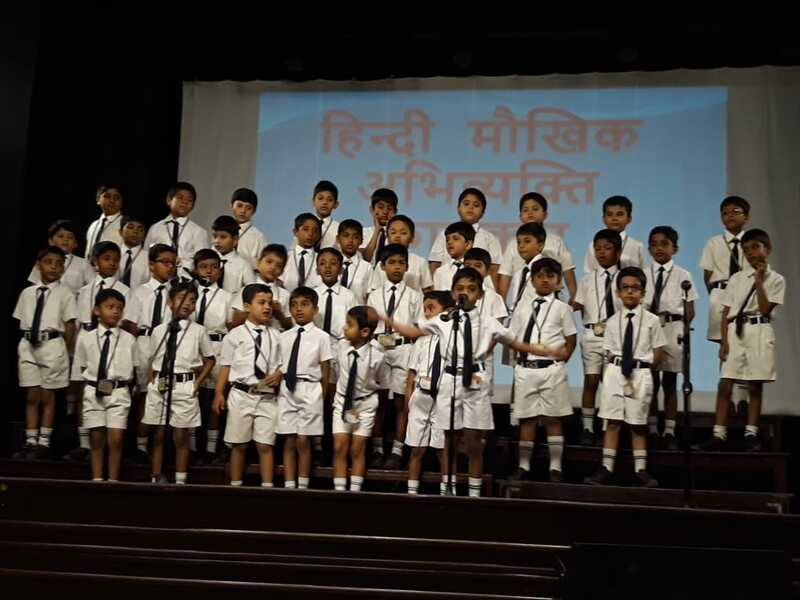 Hindi is spoken by 250 million people as the original language and it is the fourth language of the world. 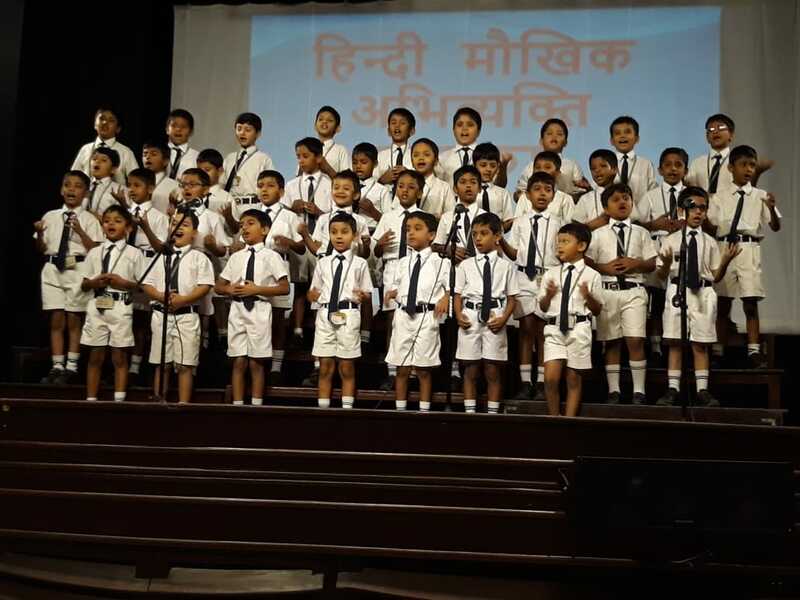 To inculcate interest and improve their vocabulary, students are encouraged to take part in the ‘Plain Speaking in Hindi’, thereby enhancing their language skills, thus motivating them to speak Hindi fluently. They become confident on the stage and therefore overcome stage fear. 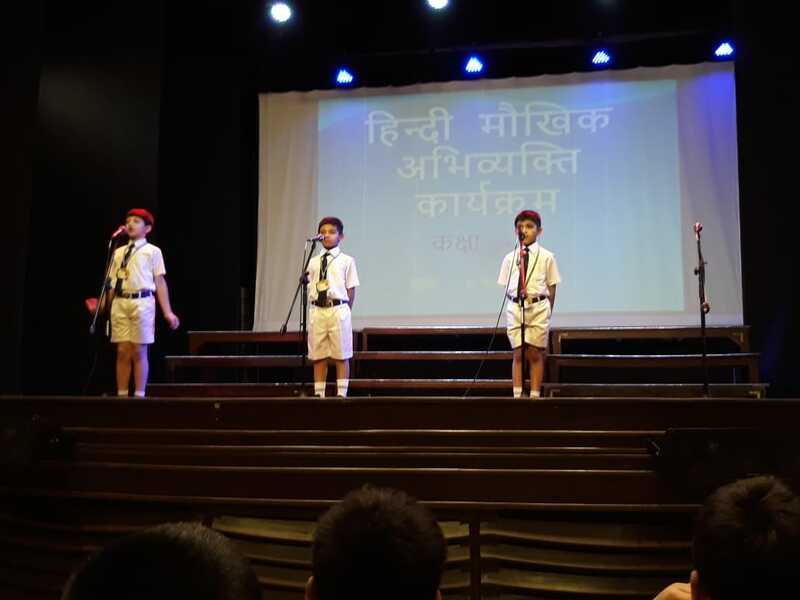 The students practice regularly and work diligently, thus giving their best performance. 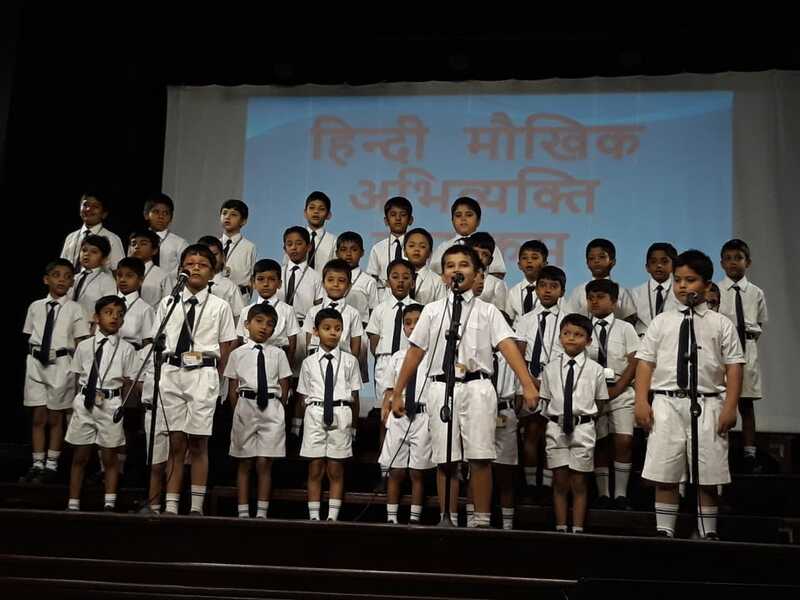 Most of them overcome their fear and recite their parts with sheer performance and grace. 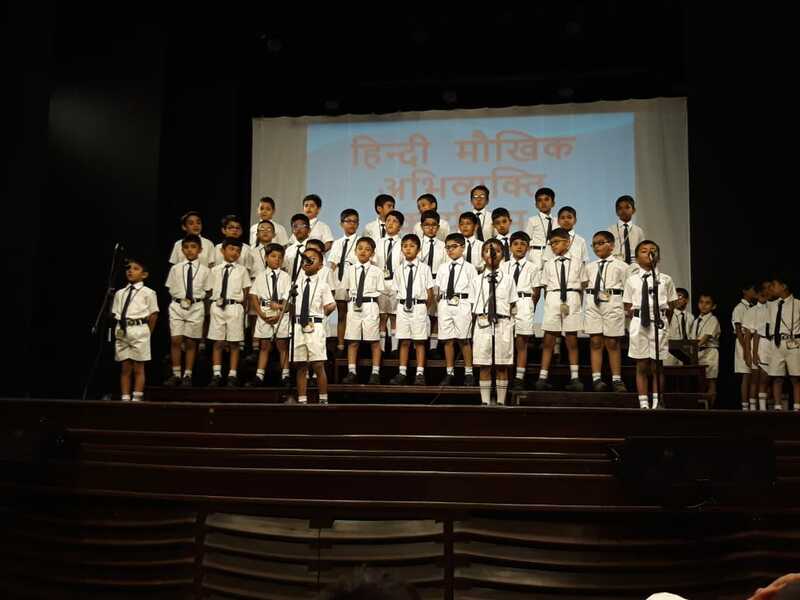 The whole programme was anchored by the students of class 2 in Hindi. The programme was enjoyed by the audience.